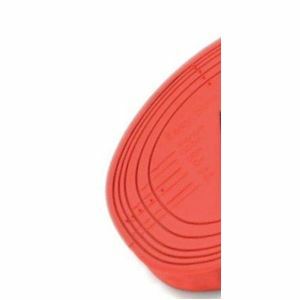 The 6mm firm density Old Mac's/ Easyboot Trail comfort pad is the ideal pad to use on its own or in a stack to raise the horses hoof up in a hoof boot. If the horses has very short heels, or a short hoof it is sometimes necessary to lift the hoof up in the boot to ensure the correct part of the hoof is gripped by the boot, the firm comfort pad is the ideal pad for this purpose. The Old Mac's red firm comfort pad helps to reduce concussion, and will help to condition and improve the internal and extrenal structures of the hoof. Suitable for use in Old Mac's original and G2 hoof boots. We hope you will be delighted with your purchase from The Saddlery Shop, but if for any reason you would like to return an item you have 14 days from receipt to return it so us for a full refund or 30 days if you wish to do an exchange. Please see our Returns Policy for our full terms and conditions with regards to making a return, which also includes our returns form and address label to ensure we can process your return as quickly & efficiently as possible.